A series of hooks designed to meet the challenge of targeting large predators like northern pike, musky and bass on the fly rod. All hooks are strong and razor sharp – and you find models for surface bugs as well as regular stingers and even Texas style hooks for weedless fly designs. Some of the smaller sizes from this series are great for large trout streamers as well. PR320 – PREDATOR STINGER This hook gets the job done! Period. Heavy wire. Stinger design for optimal hook up. You do not want a box without flies tied on Predator Stinger! Black Nickel Finish Available in size 2, 1, 1/0, 2/0, 4/0 & 6/0 Chemically sharpened with small barb 8 hooks per package For videos … Continue reading "PR320 – PREDATOR STINGER"
PR330 – ABERDEEN PREDATOR A straight eye streamer hook. Light wire and a large hook gap. If you like the classic looking Aberdeen bend on your hook, this is the one to choose. Aberdeen hooks have been a standard for a lot large predator flies for many years. Black Nickel Finish Available in size 1/0, … Continue reading "PR330 – ABERDEEN PREDATOR"
PR350 – LIGHT PREDATOR, BARBED A straight eye streamer hook. Light wire and a large hook gape. 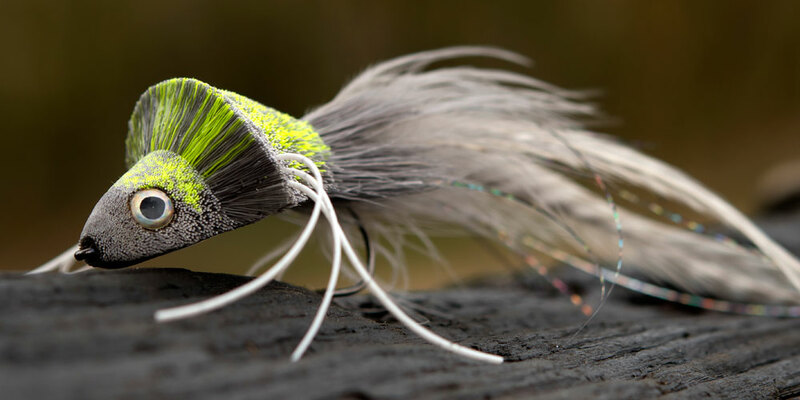 Designed for light flies and Deer hair lovers will find this hook very attractive. Super sharp point and small barb. Most classic predator patterns will look beautiful on this hook. Black Nickel Finish Available in size 2/0, 4/0 … Continue reading "PR350 – LIGHT PREDATOR, BARBED"
PR351 – LIGHT PREDATOR, BARBLESS Same design as PR350 but Barbless. More and more people are practicing Catch and Release – we want to support that with a barbless hook in our program. A straight eye streamer hook. Light wire and a large hook gape. Designed for light flies. Deer hair lovers will find this … Continue reading "PR351 – LIGHT PREDATOR, BARBLESS"
PR370 – 60 Degree Bent Streamer A heavy-duty jig style hook. Made for weedless performance and bottom bouncing: Heavy wire, large hook gap and has a 60-degree bend in the shank. Made for large predators anywhere! Black Nickel Finish Available in size 2/0, 4/0 & 6/0 Chemically sharpened with small barb 8 hooks per package For product … Continue reading "PR370 – 60 Degree Bent Streamer"
PR380 – TEXAS PREDATOR Originally, this hook was not made for fly-fishing but for Texas Rigs. However, it works really well for fly-fishing in waters with a lot of weed or if you want to fish close to the bottom without getting too many unintended hook ups. Black Nickel Finish Available in size 1/0, 3/0 … Continue reading "PR380 – TEXAS PREDATOR"
PR382 – PREDATOR TRAILER HOOK, BARBED Strong wire – up eyed hook. Designed for long winged predator flies where you want an additional hook attached for better hook ups. The PR382 is also perfect for making your own pike rigs for tube flies. Black Nickel Finish Available in size 1, 1/0, 2/0 Chemically sharpened 8 hooks … Continue reading "PR382 – PREDATOR TRAILER HOOK, BARBED"
PR383 – Predator Trailer Hook, Barbless Strong wire – up eyed hook. Barbless Trailer Hook. Designed for long winged predator flies where you want an additional hook attached for better hook ups. The PR383 is also perfect for making your own pike rigs for tube flies. Black Nickel Finish Available in size 1, 1/0, 2/0, 3/0, … Continue reading "PR383 – PREDATOR TRAILER HOOK, BARBLESS"